Free Lotto Games: Practice Makes Perfect! Playing the lottery can be fun especially when you are starting out. In order to avoid wasting your money playing different lottery games before you know or understand the rules, you can play free lottery games. 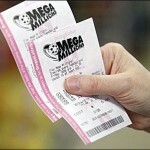 A simple online search can give you a few options of lottery games or sweepstakes that you can play online for free. These games give you the same experience and you still stand a chance to win. Like with everything in life, practice makes perfect. The practice you get from playing free lottery games will make you a professional when you decide to play other online lotteries. The beauty of free lottery games is that all the information on how to play is readily available and easy to follow. The information needed to claim your prize is well spelt out. You will be required to register an account in order to play any of the free games. Your account information must give your first and last name, the state you live in and a valid email address. Every day your account gets the opportunity to play at least once in each and every one of the games available. Of course you can register more than one account but most limit account registration to ten accounts per person. Should your account gets the winning numbers in any of the lottery games then you get an email notifying you that your number has won. In order to claim your prize you must give information that matches those of the account that you registered. This is to ensure that a stranger does not claim your prize. Depending on which state you come from the identity validation procedure may vary slightly. Most free lottery games limit the time duration over which you may claim your prize. This time period varies from 30 days upwards. 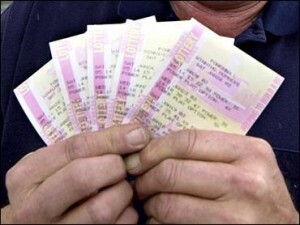 The point is if you can play lottery for free and win, then why should you fall victim to a lottery scam? Lottery scammers use all means and ways to try and get money from you. They will claim that you have won a prize for which your email address of the phone number was entered. 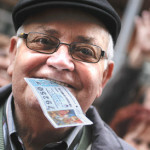 Lotteries do not enter people involuntarily so this is something to watch out for. 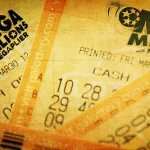 In a lottery scam they will ask you for advance payment or personal information in order to process your prize. Always avoid making any advance payments as legitimate lotteries never ask for this. Never give your personal information to unidentified people who may use it fraudulently. This may result in you losing money. Playing the free lottery has such stringent rules to be followed as regards playing the game and proof of identity without asking you for a cent in advance, apply those same rules to any lottery encounter you have. 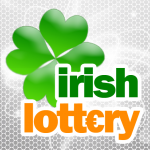 Check out How to play the lottery online as well.